We had a great turn out today, as this is the last party for the 2017 year!! Several special guests today!! We have had such a great year and so look forward to 2018. We had 5 boys to attend, and were greeted by Tim Lovell from the Hendersonville Fire Department, and two of the Life Flight nurses as our Heroes! They entertained the boys with party favors, some donated by Mr. Lovell and the Hendersonville Firefighters. The Tutu Ladies had some special additions to the cape selections which included masks, as always, a favorite addition. 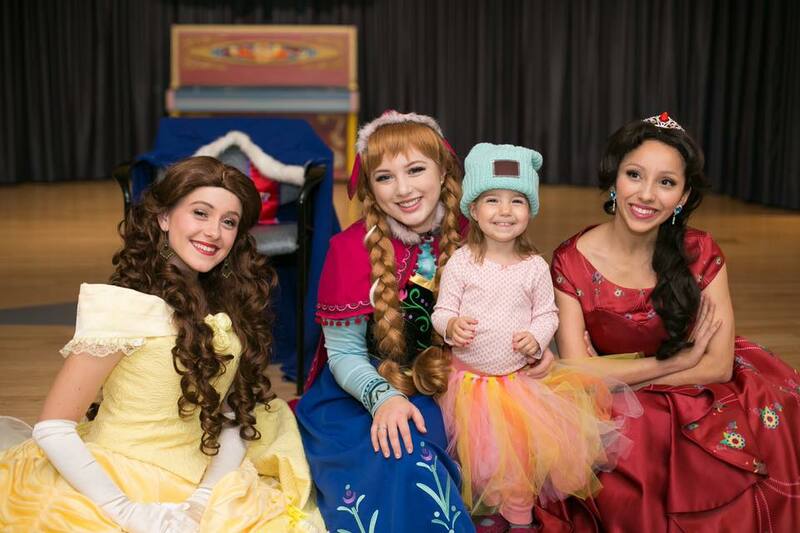 17 little girls were greeted by special guests Princess Ana, Belle, Elena, compliments of The Wishes Foundation. They were excited to have nails painted and pick out their perfect shade of lipstick for the day. It was a flurry of activity, picking gifts from the table, tutus and of course choosing the perfect crown! Our crowns are actually donated by little girls that compete on stage in local and national level pageants. Several girls were in shock to see the princesses and took a bit to warm up to them. Several girls and boys “melted” into Ana’s arms with a huge hug! Several questions regarding activities happening back at the princess’s castles. After all nails and lips painted, crowns selected and tutus on, the girls were excited to have a portrait taken with the Princesses. So much fun to watch these faces. Unknown to us, but October 19th, was love your melon day!!! We had a table set up for them to distribute beanies to all the kids that day. Check their organization at www.Loveyoumelon.com !! Thank you guys for attending!! Performing at the Ryan Seacrest studio was Dylan Schneider. Great music for our entertainment! We also were able to send 6 goodie bags with party favors, lip stick, nail polish and a crown for those ones that were unable to attend the event, but were able to watch in their rooms, as the staging area is recording live. Our Tutu Ladies out did themselves with great new tutus and wands. Such a joy to watch them twirl in their chosen tutus. Again, a huge thank you to those ladies and everyone that donates in order for them to continue putting smiles on each child! So look forward to having them back for the year 2018! Lindsay Bateman put huge smiles on faces with mylar balloons with princess characters!! So excited to have her join and look forward to brainstorming with her. I could not do this without all the volunteers that love putting smiles on these kids faces as much as I do. Looking forward to next year, meeting new Queens and enjoying the company of past Queens that continue to attend. The Tutu ladies and Delaney Henry are considered a huge part of this event. Delaney Henry has been a long-standing volunteer with this program and so very thankful for all of her help throughout the years. HUGE thank you to all the volunteers that devote their precious time to put huge smiles on these precious children faces if only for an hour, the memories made in that hour will last a lifetime.